The Spooky Chrome Temporal Turbine Trap Skin can be used on the Chrome Temporal Turbine trap. The trap's stats (power, power bonus, attraction bonus, etc.) are not changed. The Spooky Chrome Temporal Turbine Trap Skin can be obtained during the annual Halloween event. 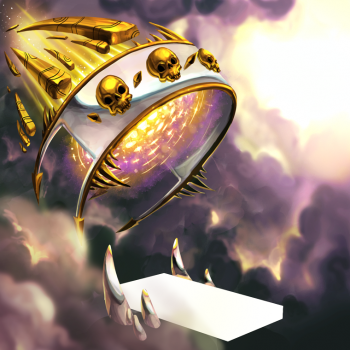 17 October 2018: The Spooky Chrome Temporal Turbine Trap Skin was introduced with the start of Admiral Arrgh's Revenge. This page was last edited on 21 January 2019, at 22:38.